Electronic Arts has not only announced that they newest entry to their hit racer series, Need for Speed, has gone gold...but will also be releasing early on November 3rd in North America and November 6th in Europe. 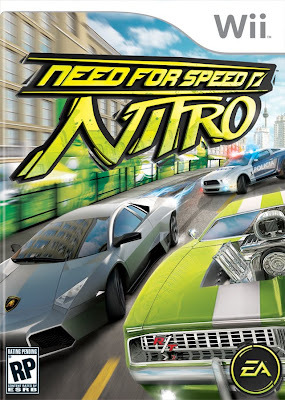 NITRO claims to deliver exciting gameplay, accessible controls, and competitive multiplayer events to Nintendo Wii and DS owners alike, after being crowned by IGN as the Best Racing Game on the Wii and DS at E3 this year. Also in Need for Speed news today, EA has announced that the series has sold over 100 million copies to date, generating over 2.7 billion dollars from the series. 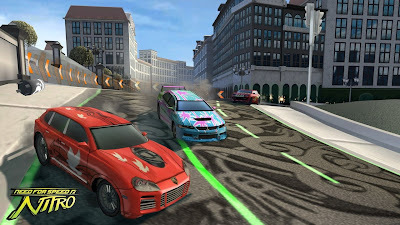 No doubt 'coz I think this is one of the best racing game being released. I hope that this version will be available for PSP and can also be played online.